The 104HF is one of our most popular cabinets and, for many players, it sets a new standard for 4x10s. Hear the miracle of neodymium speakers by playing through this cabinet... then feel the miracle when you pick it up! The Standard 104HF is a leader in its field due its sound, power and portability. But you don't have to trust us; let your ears and your lower back be the judge! Plugged my Mesa M9 Carbine into it and this thing was just powerful and rumbled the whole store. 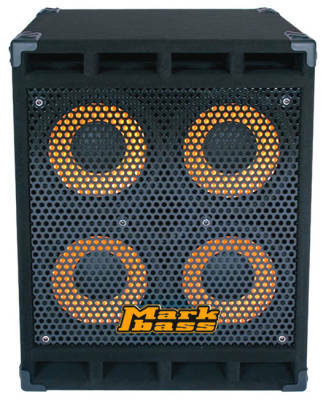 This light weight cab punches out the sound every basist is looking for. I still have my peavey rig but it doesn't leave my basement. Way to heavy. I use a little mark III head and the markbass compressore pedal and the sound I get is unreal. I am a fan of markbass for life. Great products. A little pricey but who can put a price on quality and amazing sound. I bought this Cabinet about 2 years ago and have never had any issues with it It has never let me down for any shows and is not overly a chore to haul around. not nearly as heavy as some of the other cabinets i've owned in the past, such as peavey. I use a Little Mark III for a head which suits it perfectly. I love the tight growl I get from this set up which makes me grin every time i hear it. Great choice for live shows and practices. Needing the 4ohms and 500w that my SA450 head can put out, my 8ohm Bergantino cab needed either an 8ohm mate, or a 4ohm bottom to replace...and does this ever do the job. Pricier than other 4 x 10's, but it sounds GREAT with a MarkBass head (expected) and at 65lbs...my 16 year old back injury can handle moving it if I have to. Great tonal balance from low to high. I bought this cabinet online from Long & Mcquade, and it is amazing. First of all, it is very light (for a large 410) but solidly constructed. More importantly, however, it sounds great! It's deep, loud, and very pleasing. 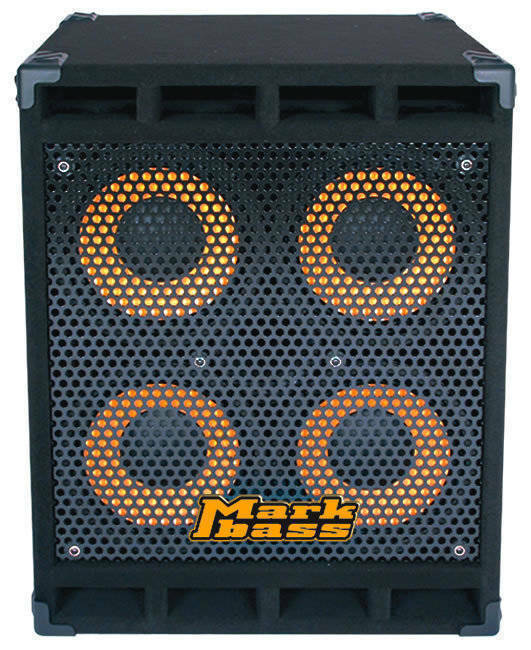 Markbass gear seems to be quite expensive in Canada, and that is why I give it a 7/10 in value.